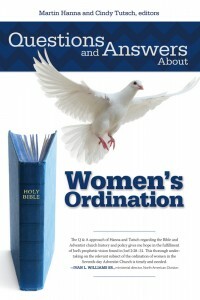 If you are interested in sincerely and deeply studying the issue of ordaining female pastors, you will want to read Questions and Answers About Women’s Ordination edited by Dr. Martin Hanna and Dr. Cindy Tutsch. This book of 160 pages was published by the SDA Pacific Press in September of 2014. Topics include hermeneutics, Old Testament and Testament precedents, and insights from the Spirit of Prophecy and church history. The first chapter is available as a free download on the ABC website. The book is available from your local Adventist Book Center or online at www.tinyurl.com/WObook . It is also available in Spanish. Dr. Hanna is a professor at the Seventh-day Adventist Theological Seminary. Dr. Tutsch served as an associate director of the Ellen G. White Estate at the General Conference.